This week we talked to Swedish Stockings - a brand who makes beautiful, long-lasting stockings from recycled yarn. Swedish Stockings makes long-lasting nylon stockings from recycled yarn. Why? Well, each year around two billion pairs of stockings are produced, worn once and then discarded; a scheme of which of course supports the textile industry’s position as the second most polluting industry in the world. 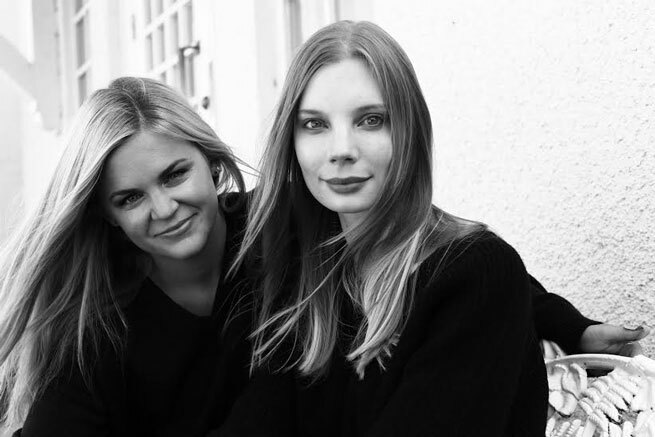 Swedish Stockholm founders Nadja Forsberg and Linn Frisinger believe the world needs more innovative and environmentally conscious products to lead the way to a more sustainable fashion future. Please tell us about how the journey of Swedish Stockings started. – The idea came to us after viewing a documentary called The Light Bulb Conspiracy. It was about the fact that products are purposely designed to age quickly in order to boost consumption in society. Pantyhose was brought up as a product that has gone from a top quality product that used to be repaired by tailors in the 1960s to becoming a common wear and tear clothing item. On top of that pantyhose is a petroleum product and the production is very harmful to the environment. Based on these facts we created Swedish Stockings in November 2013. We believe that sustainability can be achieved along with great design and quality. – Nature. Women. Design. High quality. Innovation. Simply being a part of a society in constant change towards a more sustainable living. Do you have you plans on exploring other product areas as well? How do you wish to develop Swedish Stockings sustainability offer in the future? – We are constantly evolving, looking at new materials and ways to be able to utilize our disposed products. We can see a huge potential within fibre separation and being able to use the polyamide over and over again. We will never sit back and say we have done enough! Find more exciting brands at our Sustainable Brand Index.